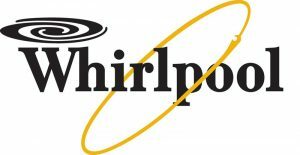 During its long history, Whirlpool Company have made a good showing as the reliable manufacturer of the household appliances in the world. Washing machines of this brand are very popular in Uzbekistan. The clients often apply our specialists for repair the washing machines Whirlpool. The main office of the company is situated in USA, but production and assembling are made in other countries. Generally, the models of Russian assembling are imported in Uzbekistan. Although, sometimes they are produced in Slovenia, these models are more valuable. Main properties of the washing machines Whirlpool. High quality assembling. Before coming in the market, the washing machines are carefully checked by QCT (quality control test). A wide range of the models. Correspondingly, each consumer will be able to make a choice depending on financial possibilities. The washing quality is not worse than the washers of premium class. Low indicators of electric energy consumption. Unique system of safety protects your washing machine from water leaking and wrong pressing the button. Drum rotation in extraction regime is more than 1400 min-1. Water eliminating after the washing. As a rule, it happens because of pollution of the drain system or functional loss of the drain pump. Malfunction of the electric heating tube causes the problems with controlling of water regimes or water heating. This is the most common problem, which arises because of scaling-producing water. Water leakage from electric heating tube. The main cause of this malfunction is wear of the sealing rubber, which leads to serious problems during the operation of the washing machine. “Stiralka Info” Company provides not only the repair of the washing machines Whirlpool but also other famous brands. Our specialists will eliminate any malfunctions of your washing machines. We also make a complete diagnostics of the equipment. You know, timely diagnostics prevents some serious problems in the operation of your washing machines.